This guide will walk you through customizing default keyboard settings and text entry on the new Samsung Galaxy Note 4 device. Specific topics that are being covered in this content include changing default keyboard, entering symbols and numbers, using text entry mode, and turning haptic feedback on or off your Galaxy Note 4. Read on to learn more. 1. Tap Apps from the Home screen. 2. Tap on Settings to continue. 3. Scroll to and select System. 4. Tap Language and input. 5. Tap the Settings icon located next to Samsung keyboard. 6. Tap to select English(US) from the available languages. 7. Now tap to select which keyboard you prefer to use, either the Qwerty keyboard or the 3x4 keyboard. 1. 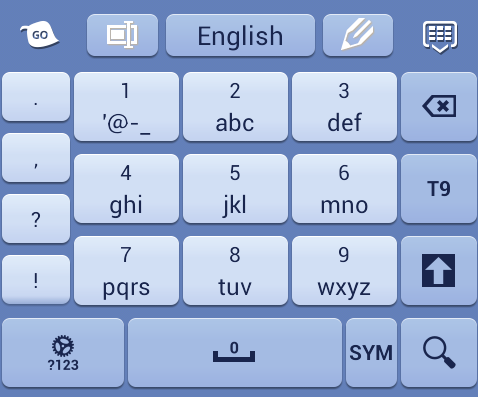 To enter numbers, tap the 123 Sym key from the alphabet keyboard. 2. To enter symbols, tap the Sym key. 3. To view and use more symbols to enter, tap the 1/2 key. 4. To get back to the alphabet keyboard, tap the ABC key. 1. Tap the Menu key. 3. Tap on any emoticon you want to insert in to your message. 3. Scroll to and tap on System. 4. Select Language and input. 5. Tap on the Settings icon next to Samsung keyboard. a. Scroll to and select Smart Typing. b. Tap on Predictive text. c. Tap the Predictive text switch to turn it on or enabled. Hint: When the Switch moves right and turns green, then that means it's already active and ready to use. d. Select the Live word update checkbox (optional). e. Enable options to Learn from Facebook, Learn from Gmail, Learn from Twitter, Learn from Messages, Learn from Contacts, Clear server data and Clear personal data, by selecting or marking the Personalized data check box. 5. Tap the Settings icon next to Samsung keyboard. 6. Select or mark the checkboxes for Sound and Vibration under Key-Tap Feedback. Doing so will enable the feature. To disable or turn the feature OFF, just tap to remove the check from each boxes. And that covers everything for this guide. Please keep posted for more Galaxy Note 4 guides/tutorials to populate soon this site.